This autumn is all about a perfected complexion – a key component of the strongest looks that hit the AW12 catwalks earlier this year, from gothic glam to twenties-inspired beauty. 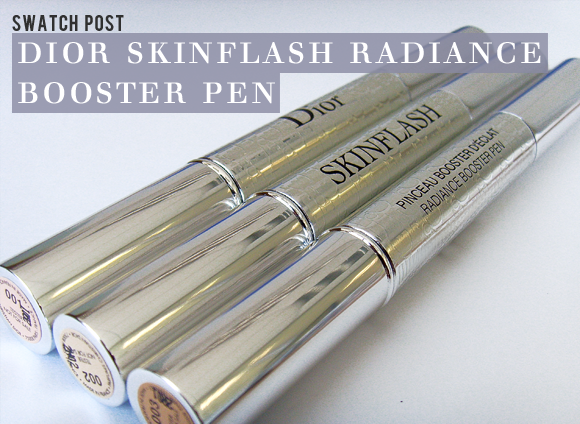 Inspired by the way light naturally hits the face, the Dior Skinflash Radiance Booster Pen is the perfect way to achieve fresh, beautiful skin. This universally flattering pink is excellent for perking up sallow complexions. 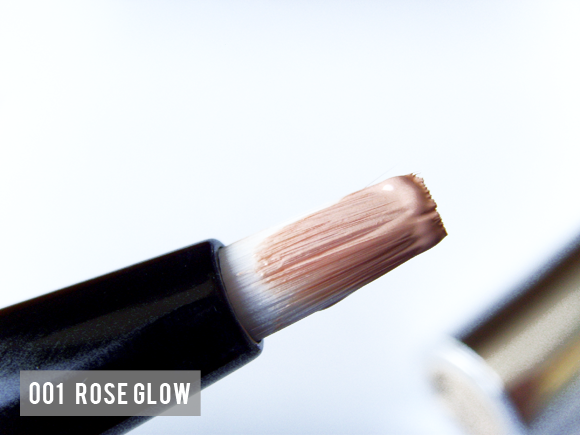 001 Rose Glow is perfect for light to medium skintones as an instantly radiant complexion corrector, and works well with all skintones as a highlighter for along the nose, the brow bones, the cheekbones and in the Cupid’s bow. If you suffer with a dull complexion or redness around the eyes, the yellow-toned 002 Candlelight will add a subtle glow and balance out the pink tones. It’s perfect for evening out discoloured eyelids, so pop this on before your eyeshadow to make your eye area more uniform. 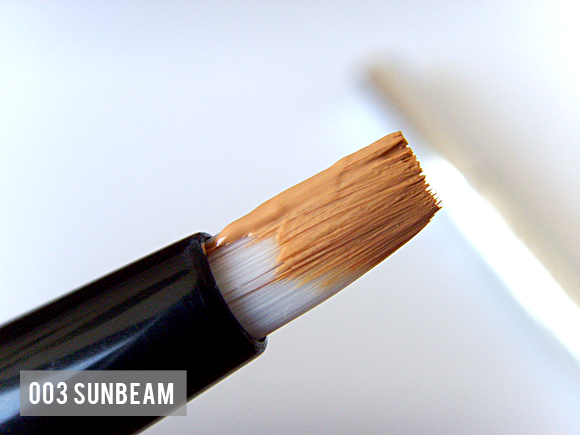 It’s the palest shade of the three, but it isn’t chalky/white when properly blended out, so it is ideal for a wide range of light to mid skintones. Fancy a brighter eye area? 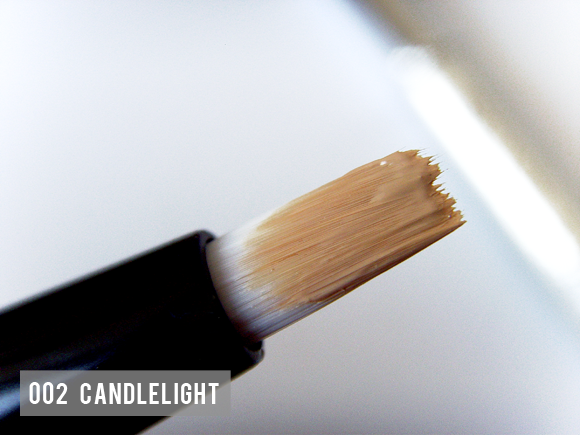 Then this warm tone will make make your dark under eye circles disappear. The peachy hue of 003 Sunbeam is also great for evening out hyperpigmentation and is the perfect choice for medium to dark skintones looking to boost radiance. 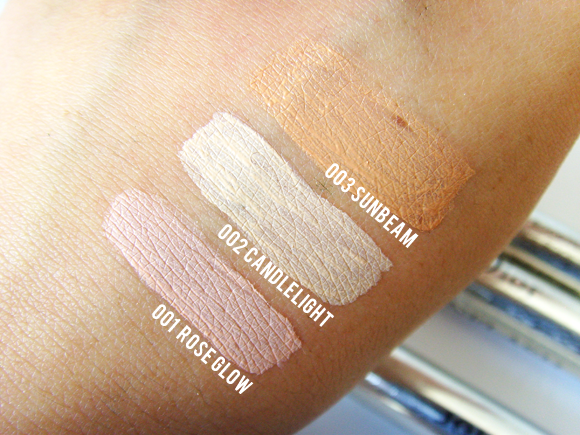 This entry was posted on Tuesday, August 28th, 2012 at 5:12 pm and is filed under Make-up, Swatches, Tried & Tested. You can follow any responses to this entry through the RSS 2.0 feed. You can skip to the end and leave a response. Pinging is currently not allowed.